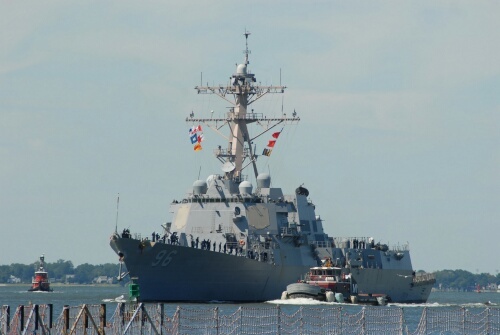 The 27 ships that sortied out of Hampton Roads in advance of Hurricane Irene’s arrival last weekend began returning to Naval Station Norfolk and Joint Expeditionary Base Little Creek Tuesday and are continuing to come back throughout the week. Also returning to their berths are some of the 28 ships in various stages of maintenance that were sent to safe havens to ride out the Category 1 hurricane, which whipped the region with high winds and generated what the National Weather Service estimates was a 4 1/2-foot storm surge at Naval Station Norfolk. 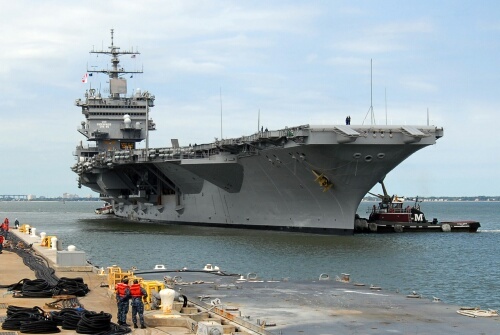 The sortie was ordered by 2nd Fleet commander Vice Adm. Daniel Holloway as a safety precaution for the Hampton Roads fleet concentration area.